Slightly shimmery pale white-green. 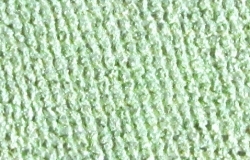 Appears pastel in the pan, but once applied, it has no white base but an iridescent glow of light green shimmer. Looks great alone or over other colors. Contains no dyes.